Members of the Apocynaceae (dogbane family). 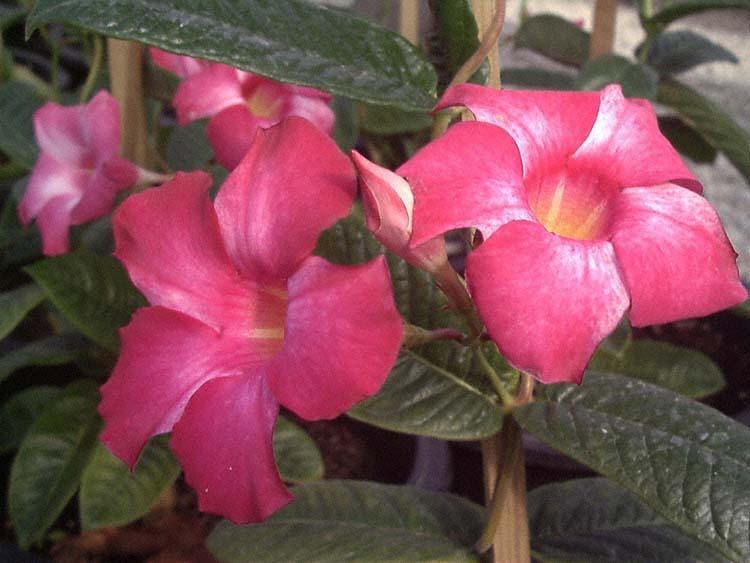 Relatives include vinca, oleander and periwinkle. Flowers are tubular, opening to saucer-shaped, 2-4 inches wide, in clusters among leaves. Stems twining, leaves glossy, oval, 3-8 inches long. Named after Henry John Mandeville, once British minister stationed in Buenos Aires.